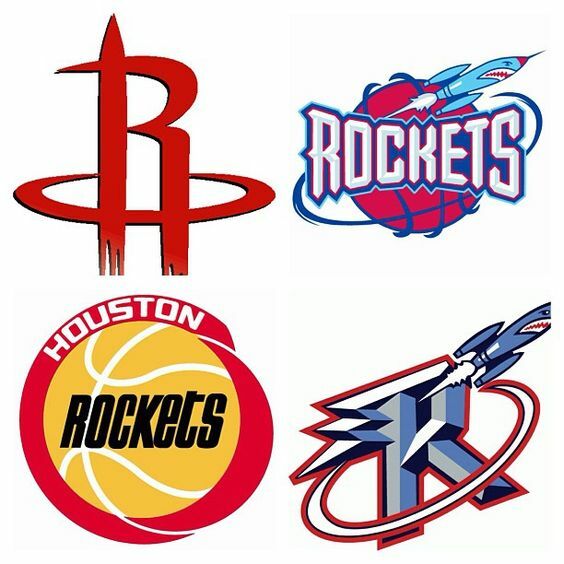 Rockets Logos over the years, the current logo pictured top left. Image available on the Internet and included in accordance with Title 17 U.S.C. Section 107. Summit Stadium, former home of the Rockets. Image available on the Internet and included in accordance with Title 17 U.S.C. Section 107. Hakeem Olajuwon at Summit Stadium. Courtesy of the Houston Chronicle. Image available on the Internet and included in accordance with Title 17 U.S.C. Section 107. Banners hanging in Summit Stadium celebrating the Rockets Championship Win in the 1993-94 season. Courtesy of the Houston Chronicle. Image available on the Internet and included in accordance with Title 17 U.S.C. Section 107. HOUSTON ROCKETS. The Houston Rockets, a professional basketball team formerly known as the San Diego Rockets, belongs to the Midwest Division of the Western Conference of the National Basketball Association. The team was founded in San Diego, California, on January 11, 1967,when Robert Breitbard, the club's first president, received the original franchise for the team, the association's twelfth member. The name "Rockets," a result of the association of San Diego with space-age industry, won a contest among fans. 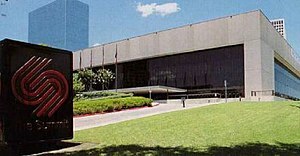 In 1971 a group of Houston investors known as Texas Sports Investments, Incorporated, bought the franchise and moved it to Houston. It was subsequently acquired by Texas Pro Sports in 1973; by James Talcott, Incorporated, in 1975; by Basketball Venture in 1976; and by the Maloof Companies in 1979. Former auto dealer Charles F. Thomas purchased the club in 1982, and Leslie J. Alexander bought it in 1993. The Rockets have played at Summit Stadium in Houston since it opened in 1975. Games are broadcast in English and Spanish. 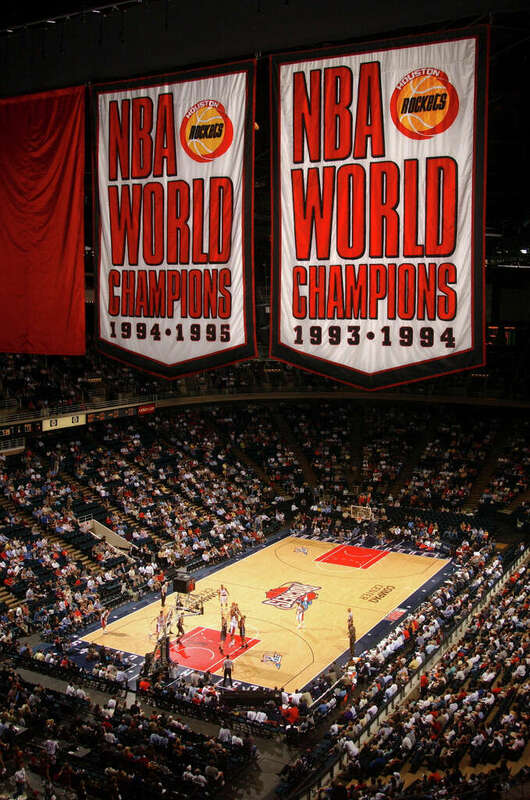 By 1993 the Rockets had played 2,132 games in twenty-six seasons, played in the NBA finals in 1981 and 1986, and had a record of 1,015 wins and 1,117 losses. In the 1992–93 season, the team had a franchise record of fifty-five wins and its second Midwest Division championship. At that time, management included head coach Rudy Tomjanovich, general manager Steve Patterson, and E. C. Schmidt II as president. Among the team's outstanding players have been Hakeem Olajuwon, Tree Rollins, and Moses Malone. The team has been involved in Houston community projects including Basketball for the Blind, Corporate Partners with Education, Toys for Tots, the Booster Shots child immunization program, and scholarships to metropolitan-area students. A foundation known as the Houston Rockets Charities was established to raise funds for local causes, and the team sponsors an annual golf tournament to benefit the Big Brothers and Sisters of Houston. 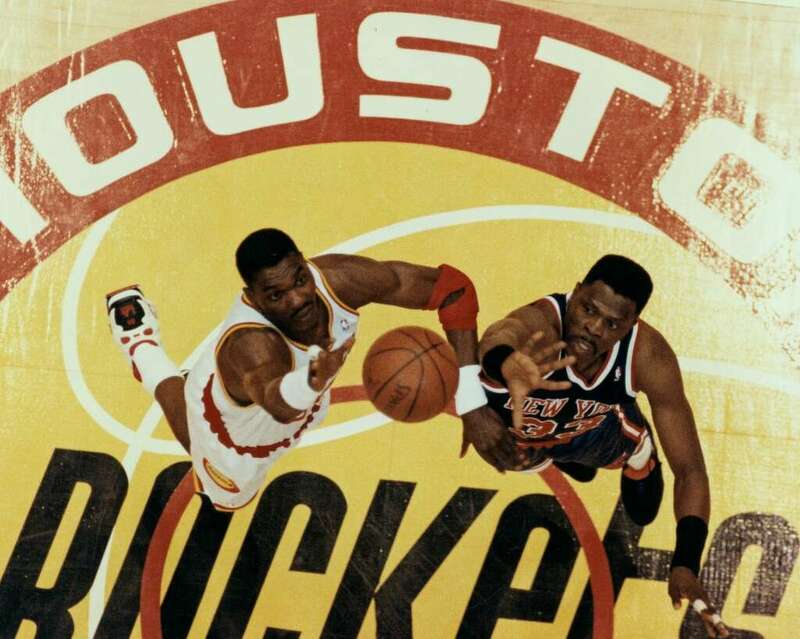 The Rockets opened the 1993–94 season winning their first fifteen games and tying an NBA record. Later that season, with a record of 22 to 1, they lost their second game and came up one game short of tying the record for the best start in the NBA. Houston Rockets 1992–1993 Media Guide (Houston: Rockets Media Information Department, 1992). Handbook of Texas Online, Diana J. Kleiner, "HOUSTON ROCKETS," accessed April 23, 2019, http://www.tshaonline.org/handbook/online/articles/xoh03. Uploaded on June 15, 2010. Modified on March 28, 2017. Published by the Texas State Historical Association.